I've started a mini version of Project Life for each of my girls. It will be focused on school activities. I plan to do one for each year for them. 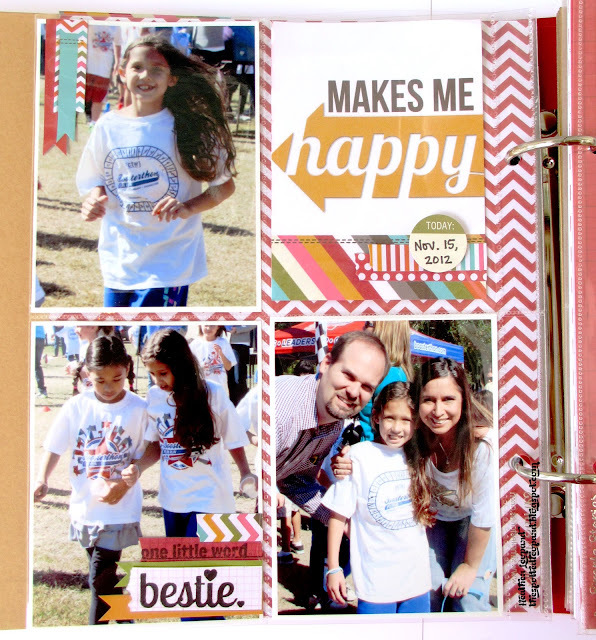 I am calling it a mini version of Project Life because I'm using the 6x8 Simple Stories Snap products. I have a pink one for the littlest since she's in preschool and loves pink. I'm doing the red album for my oldest gal. She's in 3rd grade and her school colors are red/blue. I loaded up on supplies from the Paper Issues store and you can too! And if you use the Promo Code HEATHER at check-out you can save 20% on your entire order. Anyway, back to the album. 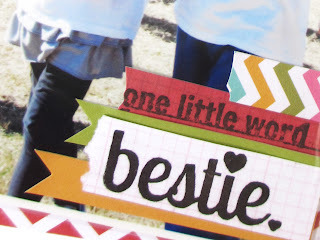 Paper Issues teamed up with Amanda Rose stamps for this week's mini blog hop. I got to play with the One Little Word...Recorded stamp and the bestie stamp! Oh my goodness, they were so fun and they stamped so nicely. 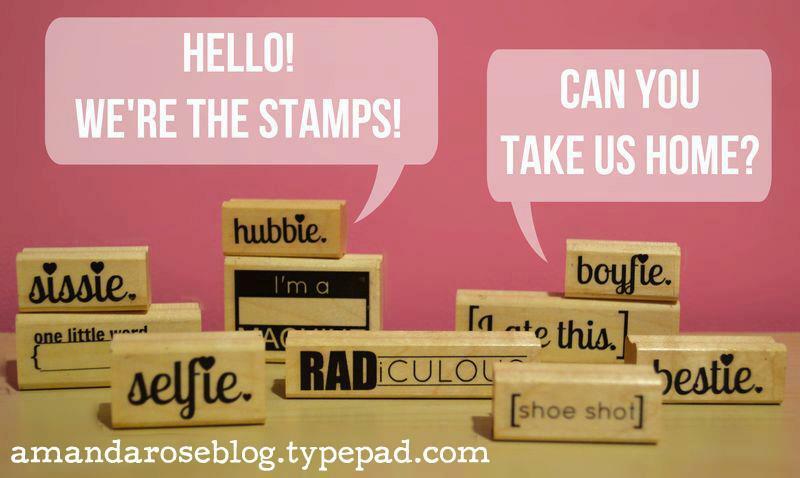 I can totally see myself making cards, tags, layouts, you name it, with these stamps. 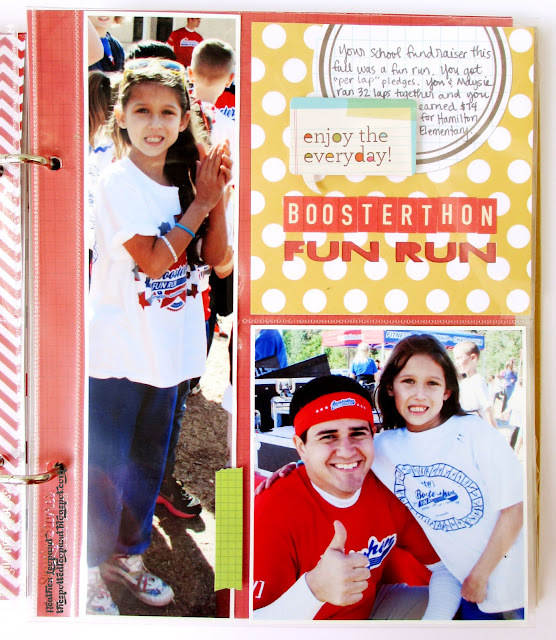 Take a look at my Project Life pages about the Boosterthon Fun Run at my daughter's school and then keep reading to see how you can get your hands on these fabulous stamps. Did I mention that Cassie's Paper Issues Store has just about every scrapbooking supply you need (or don't need but really want!)? Everything is 20% every day off when you use my code - HEATHER - at checkout. 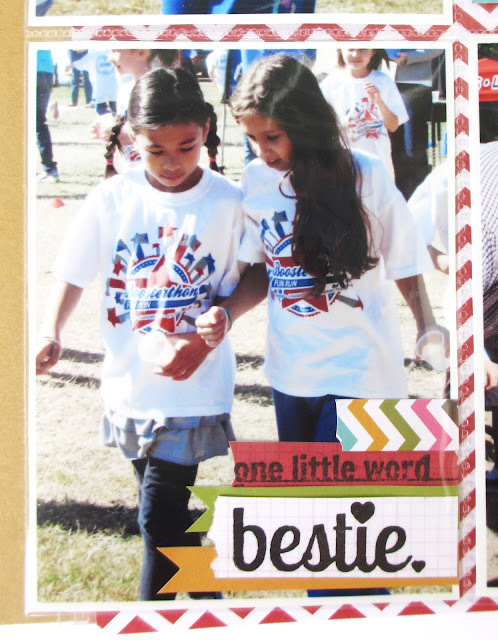 Leave a Comment on the Paper Issues blog that you did both. Link up a project on the Paper Issues blog for a bonus entry! Any project - how easy is that? 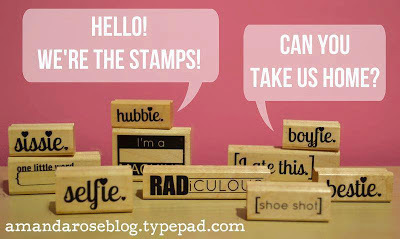 If you want the stamps NOW, you can always buy them. Amanda's running a buy 2, get 1 FREE deal! 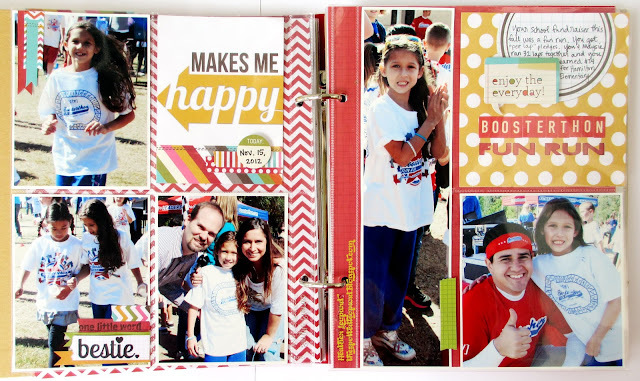 Get the details on the Paper Issues blog! I love how you used the stamp it was perfect! this is such a SUPER cute idea Heather--LOVE it! awesome creations! 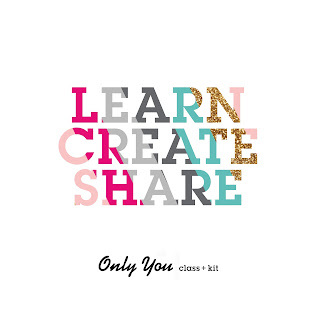 I love all that you've made! Love how you used this in your pl!